Originally, I wasn't going to even bother dressing up for Halloween this year. 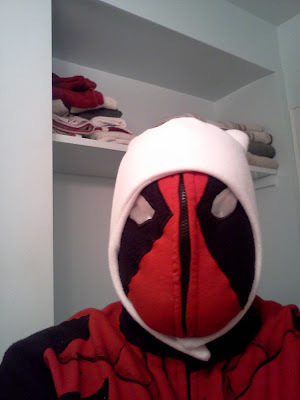 I was just going to wear my Deadpool hoodie and call it good. Then, I started checking out some costumes that other people are going to be wearing this year, and I realized that I actually do want to dress up. 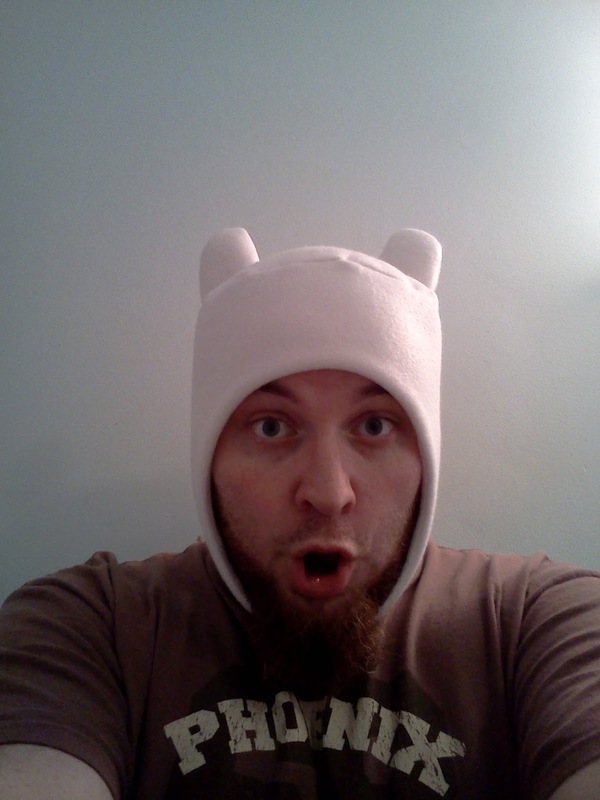 I saw someone talking about how she makes Finn hats (from Adventure Time). That game me an idea. First, I ordered a hat from her. 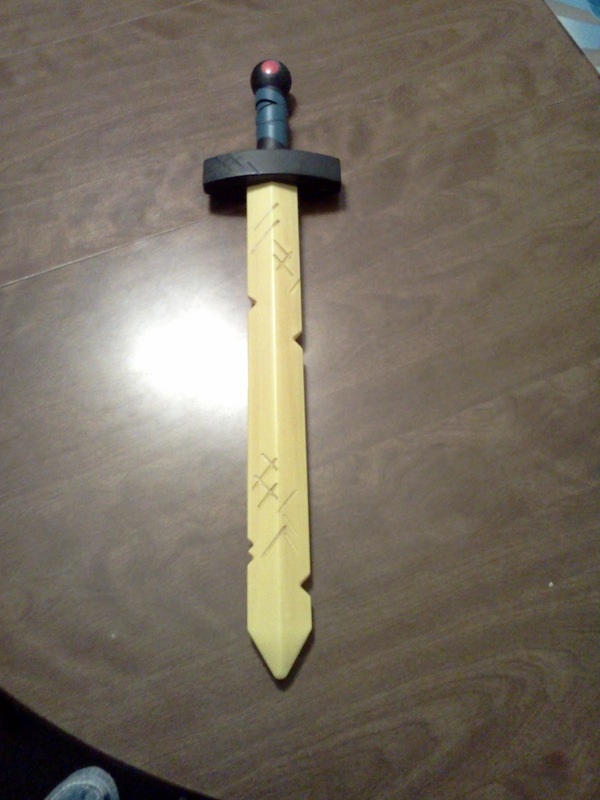 Then, I got my hands on Finn's Golden Sword of Battle. I was going to go as Finn of Future Past, a grown up, tired, and out of shape. It wouldn't be much of a stretch. However, I had a new idea today! 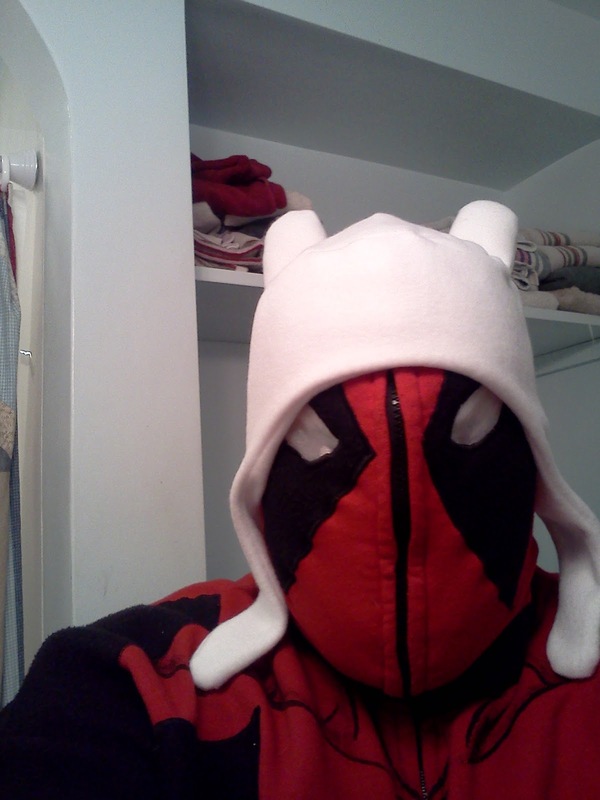 I am now going to be Finn-pool! I am going to wear some jean shorts and carry around the Golden Sword of Battle still, but I think it might still need something more.